Our Viessmann Vitodens 050-W Review gives you all the relevant information on Viessmann’s entry level model for the UK market. Winner of the Which? Best Buy for the 2nd year running in 2018, and on track for a “three-peat” in 2019, Viessmann, with all their commercial heating experience, have managed to cram this boiler with all that’s needed to give you high efficiency central heating for years. Before we get into the nitty-gritties of the boiler review, let’s look at the company first. World leaders in the commercial heating space since 1917, Viessmann’s massive commercial boilers keep many of the world’s largest stadiums, corporate buildings, movie theatres warm. That includes the Principality Stadium and the Wales Millennium Centre. Viessmann is a £2.2 billion company. They’ve been in operation since 1917, and now have over 12,000 employees across the world. They have international presence with 23 production facilities in 12 countries, and subsidiaries and representations in 74 countries, along with sales offices around the world. Viessmann are also the number 1 boiler brand in Europe, especially Germany, with Vaillant in 2nd and Junkers Bosch in 3rd. Red Dot Award: Product Design. 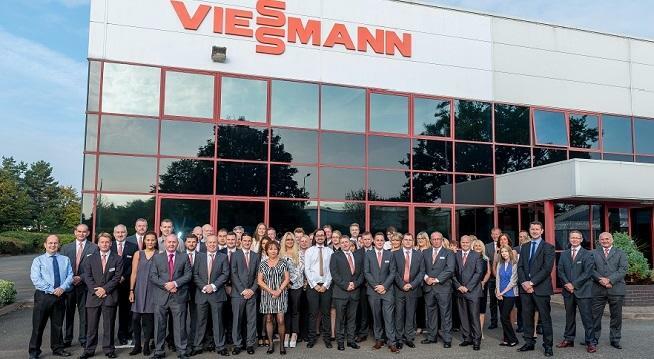 Headquartered in Telford, Shropshire, Viessmann have invested heavily into the UK market with a massive storage facility. Their current product range includes gas, oil, steam and biomass boilers, hot water cylinders, combined heat and power generation, photovoltaics, air and ground source heat pumps, refrigeration cabinets, coldrooms and biogas plants. In this Viessmann Vitodens 050-W Review, we look at one of the best and most affordable combi boilers you can buy in the UK. Don’t be fooled by its small price tag. This boiler can do everything its more expensive counterparts can do, and more. Even at one of the more attractive price points in the UK, Viessmann offer their patented Inox-Radial Stainless Steel Heat Exchangers in this boiler. That alone is a major plus point in favour of the 050-W, because of how robust and highly efficient that heat exchanger is. What’s included in a Boiler Installation? 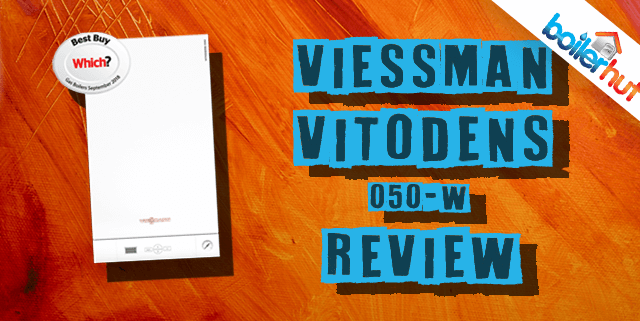 We’ve included the Tado Smart Thermostat for this Viessmann Vitodens 050-W Review, because it’s recommended by Viessmann themselves. You can control it wirelessly in the house, and also through a smartphone app when you’re away from the house. This may add some cost to your boiler installation. If you’re looking for a cheaper alternative, the EPH Combipack 4 Thermostat works great with the Vitodens 050-W as well. We’ve done a detailed review and FAQ article for EPH Combipack 4 which answers all your questions. 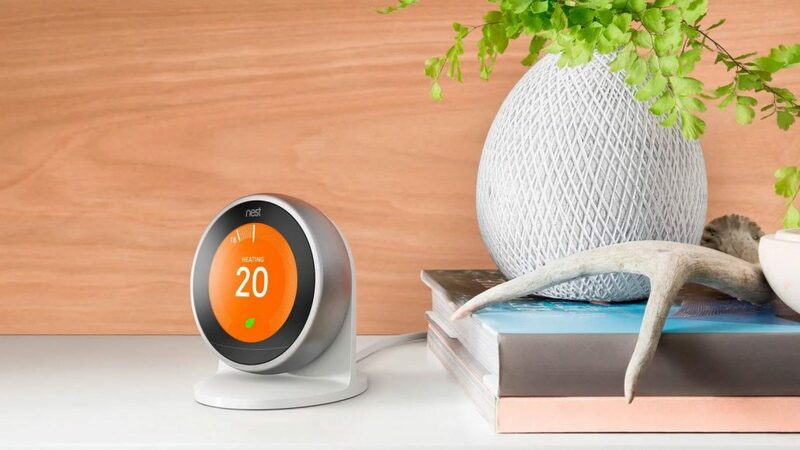 The 3rd generation Learning Thermostat from Nest can programme itself and save energy automatically when you’re away. It learns from your behavior, i.e. when you leave the house, when you come back etc. You can help its machine learning by instructing it via a smartphone app, or a tablet, or a computer. What’s more, it even works with Amazon’s Alexa! So, you can instruct it using your voice and it will obey your every command. Granted, voice commands or speech recognition software are still in very early stages, this looks like an exciting feature to have for the future! All Viessmann boilers work with weather compensation. And this Viessmann Vitodens 050-W Review won’t be complete without Weather Compensation. Furthermore, Boilerhut offer weather compensation as standard with all 050-W installations along with an EPH Combipack 4 Thermostat. But how does Weather Compensation work? A small temperature sensor is installed on the outside of your house, on a north facing wall. This is wired to the internal controls of your boiler. The weather compensation sensor will send information about the outside temperature to your boiler controller constantly. So that when the temperature changes outside, the boiler responds and starts to increase or decrease the radiator temperature inside your house to compensate. This means that when you’re cosy and warm inside your house watching the telly, you won’t even notice that the temperature has changed outside. How does Weather Compensation Save Energy and Money? When the outside temperature drops at night, more heat is lost through the walls of your house. Better cavity wall insulation helps in alleviating some of that. But if you don’t have great insulation, you’ll be glad you have weather compensation. Because the outdoor weather compensation sensor detects the fall in temperature as soon as it happens, the boiler is able to raise the radiator temperature and keep the inside temperature stable. Without weather compensation, the temperature is dependent on a room thermostat, which will only take effect after the inside of the building has become too hot or too cold. Or depending on how fast you can get to the thermostat as soon as there’s a temperature change. 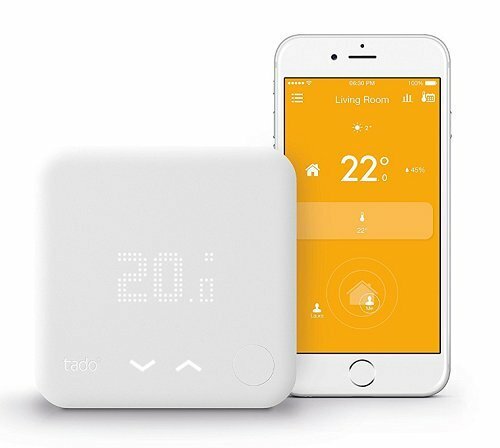 If you let the latest technology like weather compensation adjust the radiator output automatically to maintain a constant temperature inside your house, you will not only save energy and money, but also keep your family warm and comfortable during unpredictable climate change. What makes doing the Viessmann Vitodens 050-W Review so easy is its heat exchanger. Even some of its more expensive rivals, supposedly “premium” boiler brands in the UK use aluminium heat exchangers. Stainless steel, specifically Viessmann’s patented “Inox-Radial” design is far more robust and corrosion resistant compared to aluminium. Why? Inox Stainless Steel is an alloy with a minimum of 10.5% chromium content and a maximum of 1.2% carbon by mass. High chromium content makes stainless steel highly resistant to corrosion and staining, and also low maintenance. 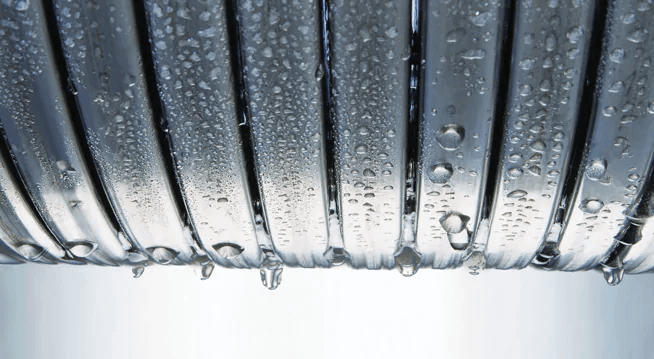 Which means when you have a furnace-like environment inside a boiler on a daily basis, stainless steel, especially Inox-Radial is the heat exchanger you want inside your boiler. How does Reliability factor into the Viessmann Vitodens 050-W Review? Aluminium starts off at a higher output due to better thermal conductivity initially, but over time with daily use it drops off dramatically. 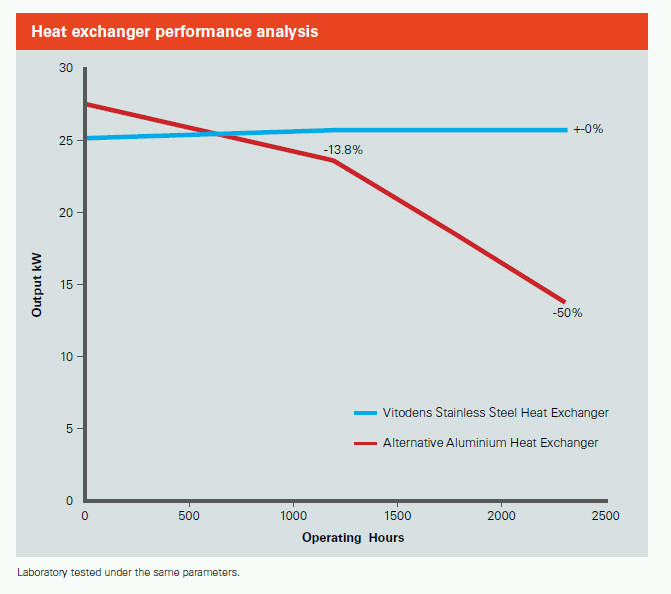 Whereas stainless steel may start off at lower output, it retains it over years of daily use, withstands extreme thermal stresses while retaining efficiency. Unless the price difference is huge, it makes NO sense whatsoever to buy a boiler with an aluminium heat exchanger. Unless of course you want to slap a cheap boiler on the wall, sell your house and skip town. 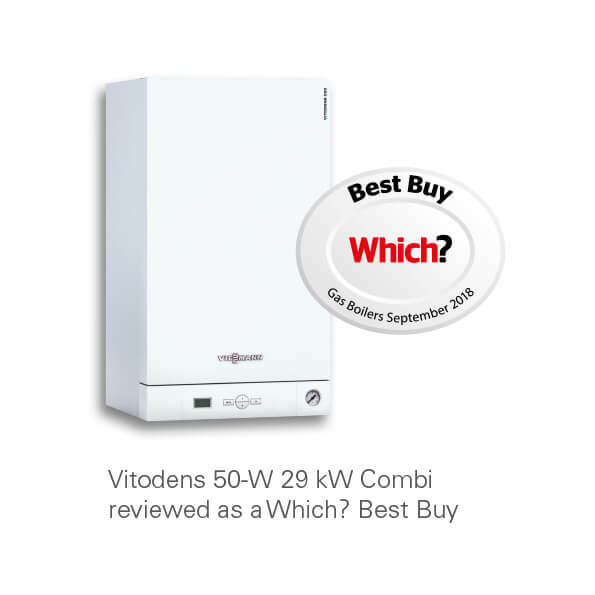 And when you’ve got a boiler like the Vitodens 050-W at approximately £2000 complete with expert Gas Safe installation, controls, extras, extended warranties and weather compensation, it’s a no-brainer! How do Viessmann keep the costs down on the 050-W? Stainless steel is expensive compared to aluminium, and it takes substantial expertise creating a unique, patented heat exchanger as well. Along with that, Viessmann boilers also have in-built shock arresters to avoid problems like water hammer. They also have the PRV (pressure relief valve) and condensate combined for easy installation, which is why heating engineers love it. So, what’s the catch? How has Viessmann managed to create a supposedly amazing boiler at this price point? Let us explain. Because of their vast experience and number 1 status around the world as commercial heating giants, they have 23 production facilities around the world. So, every single part of a Viessmann boiler is manufactured in-house. Especially the heat exchanger, which a lot of its rivals outsource from third party manufacturers. This allows them not only to offer you, the customer, a better price point, but also control quality. It’s a win-win for both parties. What about Availability of Parts? We know there’s a myth about scarcity of spare parts for “foreign” manufacturers. That simply isn’t true anymore, because like we said, Viessmann have invested in the UK with a long term view. All Viessmann spare parts are available at Plumbases around the UK, along with other prominent plumbing merchants. How to get the Best Possible Viessmann Boiler Installation? 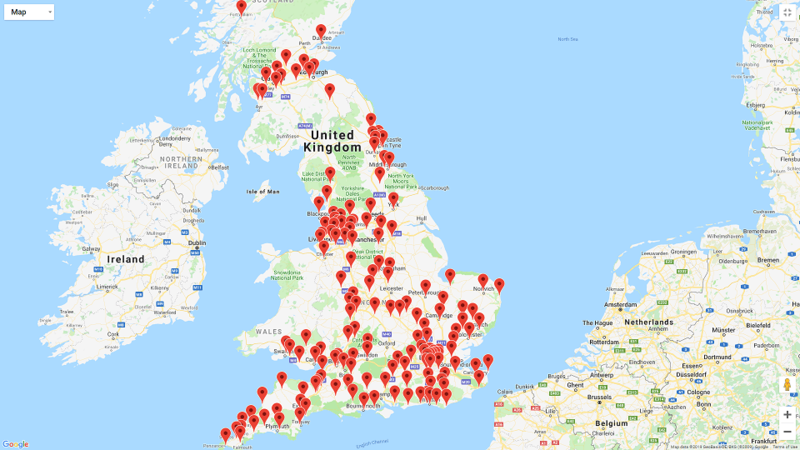 Boilerhut engineers have installed thousands of Viessmann Vitodens 050-Ws across the UK and Scotland, with minimal complaints over the last 6 years. Our engineers love it for ease of installation, and our office staff love it because of the low number of complaints.